He gained the title of Prince Alexander of the Netherlands.2 He was given the name of William Alexander Frederick Constantine Nicholas Michael von Nassau at birth. [S12] C. Arnold McNaughton, The Book of Kings, volume 1, page 96. He gained the title of Prince Casimir of the Netherlands.1 He was given the name of William Alexander Frederick Ernest Casimir von Nassau at birth. She gained the title of Princess Sophie of the Netherlands. [S12] C. Arnold McNaughton, The Book of Kings: A Royal Genealogy, in 3 volumes (London, U.K.: Garnstone Press, 1973), volume 1, page 252. Hereinafter cited as The Book of Kings. Joachim II Hector Kurfürst von Brandenburg was born on 9 January 1505.1 He was the son of Joachim I Nestor Kurfürst von Brandenburg and Elizabeth Oldenburg, Princess of Denmark.1,2 He married, firstly, Magdalen Prinzessin von Sachsen, daughter of Georg Herzog von Sachsen and Barbara Jagellon, on 6 November 1524. He married, secondly, Hedwig of Poland, Princess of Poland, daughter of Sigismund I, King of Poland and Barbara Zapolya, in 1535.2 He died on 3 January 1571 at age 65. Marie Friederike Amelie von Holstein-Gottorp, Herzogin von Oldenburg was born on 21 December 1818 at Oldenburg, Niedersachsen, GermanyG.2 She was the daughter of Paul Friedrich August von Holstein-Gottorp, Grand Duke of Oldenburg and Adelheid Prinzessin von Anhalt-Bernburg-Schaumburg-Hoym.1 She married Otto I Friedrich Ludwig von Bayern, King of the Hellenes, son of Ludwig I König von Bayern and Therese Charlotte Luise Prinzessin von Sachsen-Hildburghausen, on 22 November 1836 at Oldenburg, Niedersachsen, GermanyG.2 She died on 20 May 1875 at age 56 at Bamberg, Hessen, GermanyG.2 She was buried at Theatinerkirche, Munich, Bavaria, GermanyG. 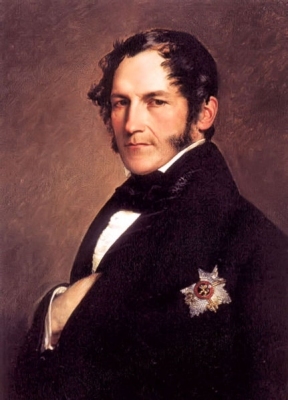 Leopold I Georg Christian Friedrich, Roi des Belges was born on 16 December 1790 at Coburg, Bayern, GermanyG.3 He was the son of Franz I Friedrich Anton Herzog von Sachsen-Coburg-Saalfeld and Auguste Karoline Sophie Gräfin Reuss zu Lobenstein und Ebersdorf.4 He married, firstly, Charlotte Augusta Hanover, Princess of Wales, daughter of George IV Hanover, King of the United Kingdom and Karoline Amelie Elisabeth Prinzessin von Braunschweig-Wolfenbüttel, on 2 May 1816 at Carlton House, Carlton House Terrace, St. James's, London, EnglandG.5 He married, secondly, Louise Marie d'Orléans, Princesse d'Orléans, daughter of Louis Philippe I d'Orléans, Roi de France and Maria Amelia Teresa di Borbone, Principessa delle Due Sicilie, on 9 August 1832 at Compiègne, FranceG.4 He died on 10 December 1865 at age 74 at Château de Laeken, Brussels, BelgiumG.3 He was buried at Château de Laeken, Brussels, BelgiumG. [S5] Dulcie M. Ashdown, Victoria and the Coburgs, page 38. [S5] Dulcie M. Ashdown, Victoria and the Coburgs, page 57. 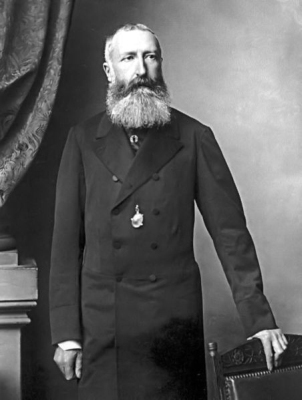 Léopold II, Roi des Belges was born on 9 April 1835 at Brussels, BelgiumG.4 He was the son of Leopold I Georg Christian Friedrich, Roi des Belges and Louise Marie d'Orléans, Princesse d'Orléans. He married, firstly, Marie Henriette Anna Erzherzogin von Österreich, daughter of Josef Anton Joseph Baptist Erzherzog von Österreich and Maria Dorothea Luise Wilhelmine Caroline Herzogin von Württemberg, on 22 August 1853 at Brussels, BelgiumG, in a religious marriage.4 He married, secondly, Blanche Zélie Joséphine Delacroix, Baronne de Vaughan, daughter of Jules Delacroix, on 12 December 1909 at Château de Laeken, Brussels, BelgiumG, in a religious (but never in a civil) marriage.5 He died on 17 December 1909 at age 74 at Château de Laeken, Brussels, BelgiumG.4 He was buried at Château de Laeken, Brussels, BelgiumG.